How to Celebrate Bhai Dooj 2016? Well if the thought of how to celebrate Bhai Dooj 2016 in a different way is making you perplexed then all that you need is to go through this blog. 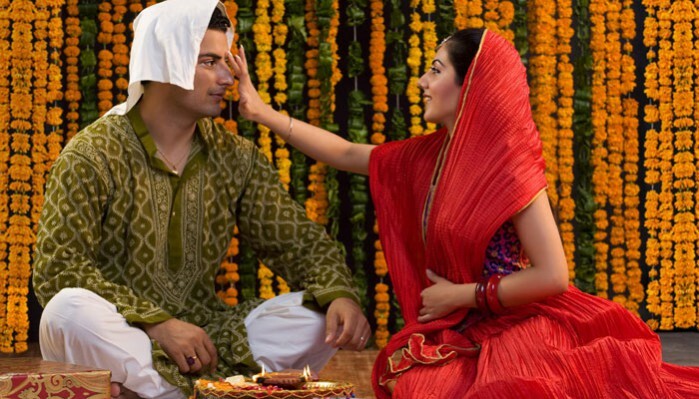 For every brother or sister who is willing to celebrate Bhai dooj in a different way, here in this blog are some amazing and quite interesting ideas. Want to know? Just go through the blog below. If all your brothers and sisters are movie freak then there is no better thought then planning to go for a movie together with every brother and sister of yours. Just book tickets for all at the nearest Movie theater and after all auspicious rituals of Bhai dooj just headed for the movie. The day will definitely turn out as fun filled and memorable. For a fun filled Bhai Dooj celebration, booking tickets in nearest Amusements Park is excellent if you want to have a thrilling and fun filled experience on a day out with all your loving brothers and sisters. Roaring and shouting loud on ups and downs of rides and roller coaster with your brothers and sister will definitely be an unforgettable experience for all. If you want to spend a relaxing but a fun filled day with your sisters and brothers then plan for a celebration of Bhai Dooj at home by organizing fun filed Games. You plan to play many different kinds of games at homes and announce Bhai Dooj gifts for the winner too. Cheating and teasing of everyone during games will turn the day memorable for all. If every brother and sister of yours is fond of sports then at your nearest sports junction you can try booking tickets for everyone for Bowling. You can try playing other sports at the playing junction and celebrate the day by playing together with cheers, fights and teasing each other. If you are residing at a place near to historical monuments then this Bhai Dooj plan to for a picnic outdoor with your brothers and sisters can be a great idea. Just plan a picnic day out to the popular and nearby historical place with every brother and sister of yours. This trip will definitely be the most fun filled and memorable one for all. Hope you liked the ideas of celebrating Bhai Dooj 2016? Well there are endless ways that one can plan to celebrate Bhai Dooj 2016 and strengthen the bond of love shared with brothers and sisters. However for the token of love, Giftalove is there to help you with best Bhai Dooj gift ideas and range of gifts to buy online.